Skye Gravestones | Marion (Robertson) McCrae. 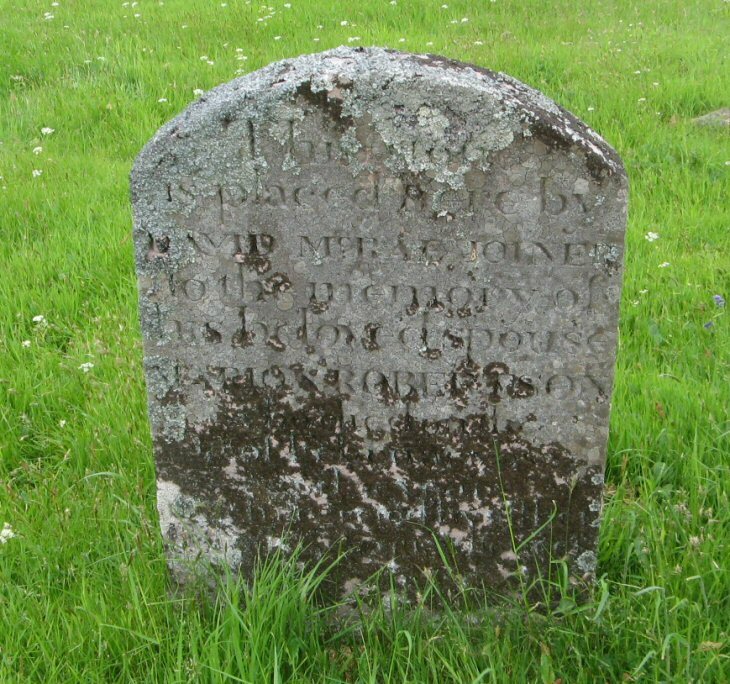 This stone/is placed here by/DAVID McCRAE joiner/to the memory of/his beloved spouse/MARION ROBERTSON/who died on the/25 February 1825/aged 30 years. Picture Added on 05 January 2014.